The truth is that all songs can be a ukulele songs. Just like any musical scale can be a guitar scale or ukulele scale. 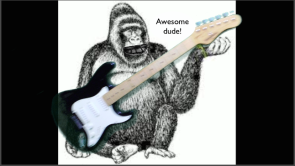 This page is for both guitar players and newbie players of the ukulele (non- guitar players if you will...) to explore the possibilities for playing songs of your own choosing in styles of your own choosing as ukulele songs. 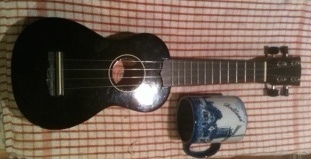 In other words songs adapted for arrangement to suit playing on a ukulele. This may include blues, rock, pop, country, jazz, classical, reggae you name it! Below are some good simple ideas in bluesy and classic rock/pop formats just to get you starting to play and develop your dexterity and technique on these rather small ( but perfectly shaped :-) ) fret boards! Remember to try to mentally absorb the *“function” of each chord used and memorise the connective patterns of the progressions to the point of making the muscle memory second nature. Here is the *Diatonic Chord Chart PDF from the Ukulele chords page for download if you don’t already have it. If this chart makes no sense go to the ukulele chords page and/or explore this site for more on music theory. Try this little I IV V ("one four five") riff in the video below to get you warmed up. The TAB notation and hand shot video should give you the idea! If you have some previous experience or a little theory knowledge try transposing this riff into different keys, it may be easier than you think! Can’t Hold Out can be done in any key that you or someone can sing it in. I usually hear it in E (Clapton does a great version listen here: https://youtu.be/gWobe4Y998w) but hey... why not try it in the "A" key to get the hang of transposing?? Ok I'm afraid that's all I have time for at the moment but I will keep updating the RSS feed very time I add a uke song so stay tuned!